This is a way overdue post, was busy at that time. Anyways if anyone is thinking to get a new skincare collection, I would highly recommend Innisfree Jeju Sparkling Mineral Line. 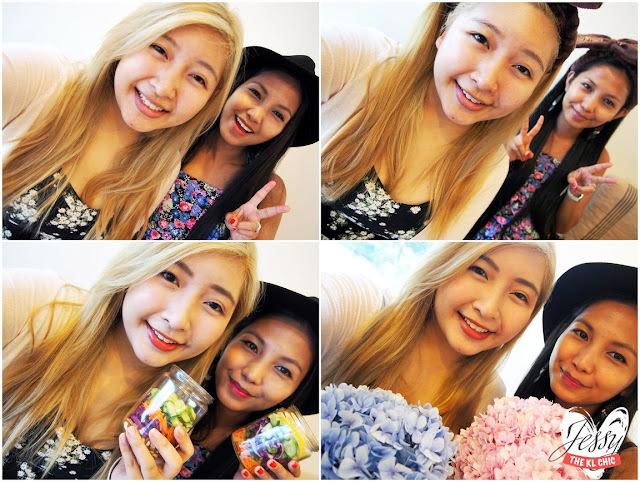 A couple months back I got a chance to attend Innisfree Beauty Picnic. 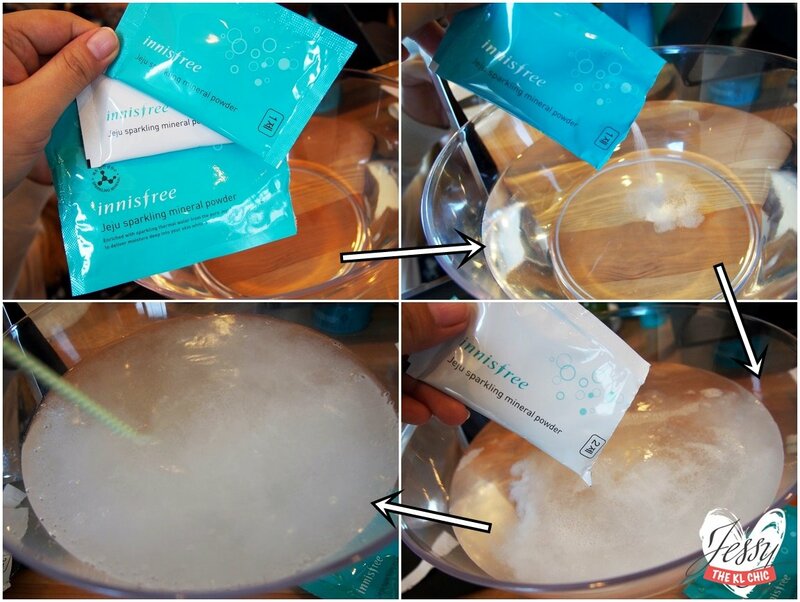 Bet you all remember my first Innisfree POST right? (Well I hope you do la. haha). 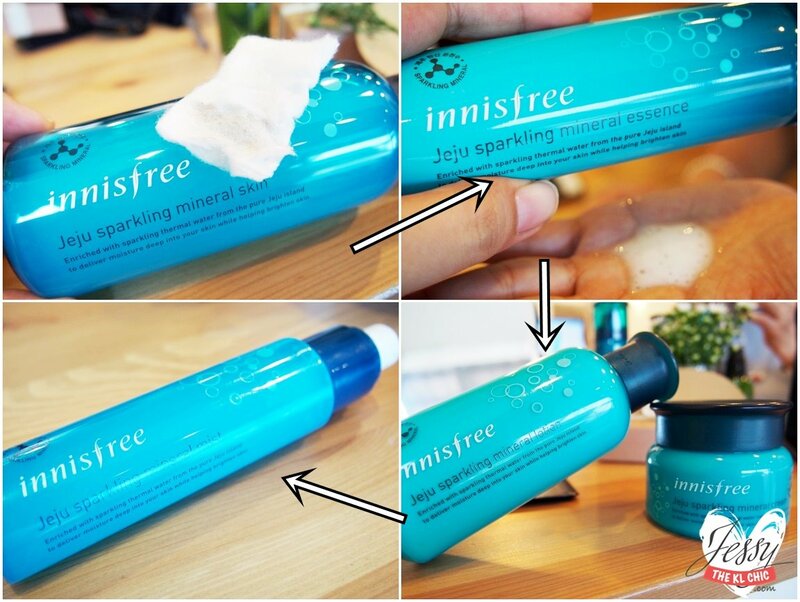 At the beauty picnic event, Innisfree launched their new collection which is Jeju Sparkling Mineral Line. Jeju is a place in Korea which is known for the island natural beauty and elements. Hence for this event the theme was beauty picnic, where natural beauty and healthy lifestyle meets. Plus if you notice Innisfree store and campaign (Go Green and Play Green), there are always very eco-friendly which always reminds me of nature. We first started out with a relaxing stretching outside of the venue and return back to the event. When I got to my seat, felt like we were all ready for a spa treatment with all of the products and a bowl of water. FYI we were all told to come in our bare face. I was the only one who abide and did not wear any make up. lol. Jonny Nam, Innisfree Malaysia Brand Manager, welcomed us with a speech and Purple Yap took over for the beauty workshop. We all know how hot and humid Malaysia can be, so its important to constantly be hydrated. Just like how spa therapy is like, Sparkling Mineral Line uses carbonic hot spring water as the main element to help clear the skin and keep it moist while experiencing a hot spring spa atmosphere. Like all skincare routine, we have to cleanse our face first. We start with the packet of power which have 2 sachets. Pour the first one in and wait for it to dissolve then the second sachet would turn the water fizzy! Here is the fun part, dip your face in the bowl and stay for 2-3 minutes. This is Innisfree star product. A must have for those who needs an extra moisture boost for their face. It helps to keep your skin radiant. This is an extra step for those who wants a youthful face. I would recommend those in their 20s to start using essence. This product helps to balance uneven skin tone, keep the skin firm and strengthen the skin barrier. Just take 1-2 pumps and massage it all over your face. This is the moisturizer product of the skincare routine. You can either choose their lotion or cream version. Cream is recommended for those starting from late 30s while lotion is more suited for those below 30. Like a moisturizer, this is to help provide hydration and prevent moisture loss from the skin with the product key ingredient macadamia nut oil. Remember not to forget to moisturize your neck too! The final product from the skincare routine! This mist can be used before or after make up. Hence keep in your handbag! If you are feeling a little dry during the day, just spray this onto your skin. I usually take 2-3 sprays for my entire face. Don't forget to close your eyes before a spray! 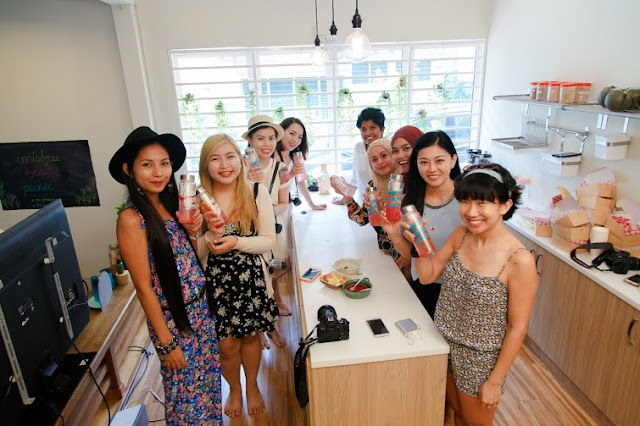 After the wonderful beauty spa workshop, we all got to try out Innisfree makeup. I finally can look human again. Bet I scared some people with my dead complexion. haha. These are all of the make up that was available for us to play around with. Moving on to our next session, we got to enjoy a healthy DIY session by making salad and sparkling juice! We also got pampered with an amazing variety of beautiful picnic snacks along with gorgeous flowers as our door gifts. Innisfree sure know how to pamper a girl. First time in my 23 years of living that I felt so greened and loved. Any of you using Innisfree products? How is your experience so far? Do expect more post about Innisfree. Seriously gotta introduce you guys to their amazing lip tint collection! Stay tune! innisfree always my favourite brand. i infected my sis with that. WTH! look like you was having so much fun. Oh gosh looked like you had lotsa fun there, I'm so jelly! Totally dig their green tea facial cleanser too. wow looks like a fun event. This brand I still not yet try. I bought online and waiting it fly to me from Korea. I love the ribbon! looks so cute. the food serving looks good too. The event looks so fun!!! OMG! I am a big fans of Innisfree! I love their products so much! Your photos somehow looks so good, I think they added to the awesomeness of the event. I can see that you all had a great time there! Innisfree products always have the good comments and reviews, I wish to try their cleanser for tge next time. By the way, your headband is so cute. Innisfree The Green Tea Seed Serum seems suitable to me to made my skin more radiant. Will get it soon. I want to join also... I love innisfree products... They are some of my favourites...hope I can join in future events..
A good event organize by innisfree. Jealous seeing you have such a good opportunity as this product is highly recommend from my friend. Wish i also in the event. I like the Innisfree Jeju Sparkling Mineral Powder. Just bought a few packs to have DIY home spa with my mom & sister. babe, i always admire your writing and photos. looks great! btw, everyone taking bout this innisfree product. i think i should try lah. Innisfree, I like this name. Look great on the product packaging.